Macau casino operator Galaxy Entertainment Group Ltd says it has signed a two-year title sponsorship for a sports annual event designed to promote its business in Japan. The company is to sponsor – via its Japanese unit – a football event dubbed “Galaxy Entertainment EuroJapan Cup”, which is set to feature “the very best” European soccer teams playing against J-League teams, according to a Wednesday press release. 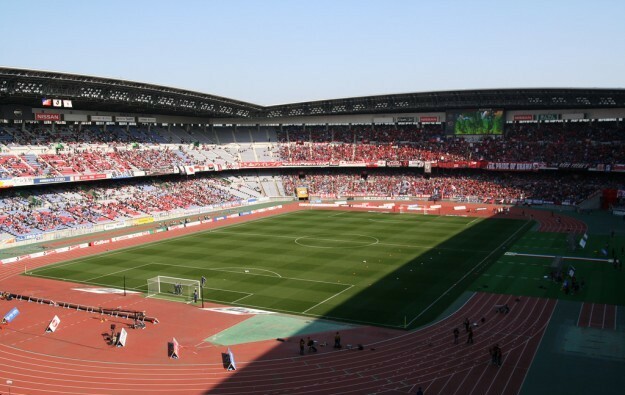 This year’s edition, to be held on July 27, will feature an exhibition match between Manchester City Football Club and Yokohama F. Marinos at Yokohama’s Nissan Stadium (pictured). Next year’s event will take place in Osaka, according to the release. Galaxy Entertainment and its European partner Société des Bains de Mer et du Cercle des Étrangers à Monaco (SBM) are in a joint push for a casino licence in Japan. The release said the casino firm aimed to promote sports events in Japan, as well as “contribute to local communities by conducting various outreach events, including soccer clinics led by some of the world’s top soccer players”. The statement made no mention to the sponsorship amount. “We are very excited to be bringing the Galaxy Entertainment EuroJapan Cup to Japan for the first time this summer,” said Ted Chan, chief operating officer of Galaxy Entertainment Japan, in a prepared statement included in Wednesday’s announcement. “Galaxy Entertainment will continue to support a wide variety of sports and cultural events by bringing the world’s best entertainment to Japan while helping to raise Japan’s profile across the world,” he added. Global casino operators are vying for a casino licence in Japan, and a number of companies have announced sponsorship deals for a range of sports events and cultural activities. U.S.-based casino operator MGM Resorts International announced in November a partnership with elite sports body Major League Baseball, to promote each other’s business in the U.S. and Japan.